Whether you’re staging your home for a real estate sale, filming a video and using your home as the setting, or hosting your in-laws for the first time, the quality and condition of your home’s furniture definitely matter. Of course, spills happen, pets get curious, and accidents occur at the worst of times. Really, there’s never a convenient time for something to go wrong, because you never want anything to go wrong in the first place! So, when you’re in need of a speedy in-home furniture repair fix from the professionals who care, rest assured that one of our friendly independent furniture repair contractors are in the area and ready to help you out. 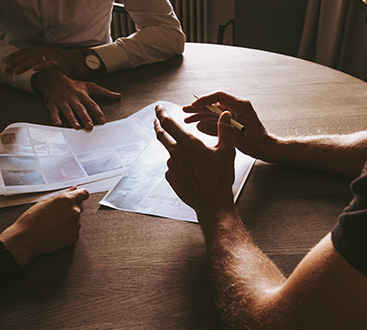 Our furniture technician jobs are undertaken by experienced and qualified contractors versed in the areas of fabric cleaning, leather repair, wood repair, upholstery repair, and commercial furniture repair when you’re not at home. 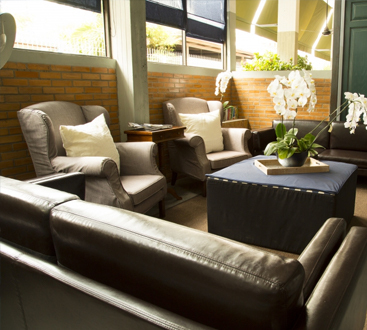 From your hotel lobby to your living room, Furniture Solutions Network is ready to help! For our customers experiencing furniture troubles at home, we thought that it would be useful to put together a little guide for how to make things go as smooth as possible. Naturally, you won’t be the one doing the fix, but there are a couple of things that you can do (or not do) to help make our technician’s life just a little bit easier. That way, everyone wins. Let’s take a look. If you’ve found us via our website, a great place to start is by filling out our free quote form. This gives you the opportunity to describe what’s in need of repair, how the accident happened, if it was just a matter of progressive wear and tear, and so forth. You don’t need to submit a novel, by any means, but the more detail that you can provide us with, the better. Then, we’ll have a solid idea of what your quote will look like, and you can budget accordingly. Again, another win/win situation. Before our technician arrives at your home, the best thing that you can do is pick up your phone and answer it. You may have already agreed on a time in which our technician will drop by, but at the end of the day, it’s your home and we’ll need your permission to enter it. Additional confirmation via the phone is a surefire way to ensure that our technician arrives on time and gets your couch, chair, coffee table, or other piece of furniture fixed as soon as possible. Look, we’re not ones to judge the cleanliness (or lack thereof) of a customer’s home. It’s your life, and your home is your private space, so by all means, live your life as you’d like to live it. Now, with that being said, it’s important that our furniture repair technicians have plenty of space to access your piece of furniture. We’d hate to accidentally knock over a precious vase because it was situated too close to the edge of your couch, or bump into other valuables because they were in the area. We’re here to fix your problems, not create more of them! It’s your belongings, and we don’t want to handle them without your permission, so we consider it a courtesy move to remove or clear any clutter of items that may obstruct our technicians from working on your broken piece of furniture. We appreciate our enthusiastic furniture owners out there (we’re passionate about this stuff too! ), but it’s important to let the experts be the experts. 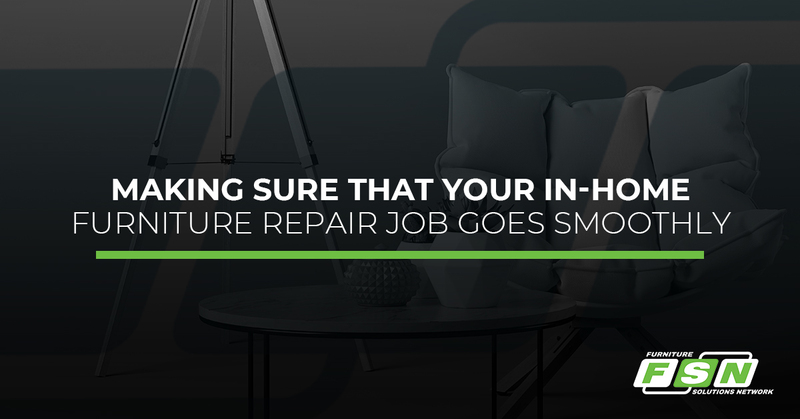 It’s fine to watch them work their magic, but people tend to work best when they’re not being carefully watched, so try your best to be mindful of this and give your furniture repair technician some space. 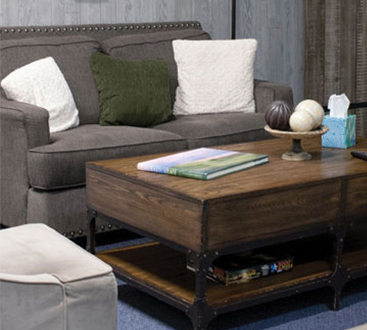 You’ll thank yourself when, an hour or two later, you’ll have a perfect piece of furniture once again! Our goal is to provide the highest possible level of service for our customers. That’s why we’re always here to chat with you — from in-home furniture repair to commercial furniture repair and more, get started today.